As our last major outing was the memorable trip to Amsterdam in January, we are quite eager to be on the road again. For my dearest friend and I the road trip is the proverbial fountain of youth. The invigorating benefits of the road trip are multiplied exponentially if that grand adventure on the highways and back roads of America are a Route 66 odyssey. Even better, a Route 66 adventure and an opportunity to spend time with old friends. Between now and our Sunday morning departure there are an array of issues to resolve. However, as I eagerly countdown the hours until we are on the road again it becomes increasingly difficult to focus on the task at hand or tying up the loose ends. 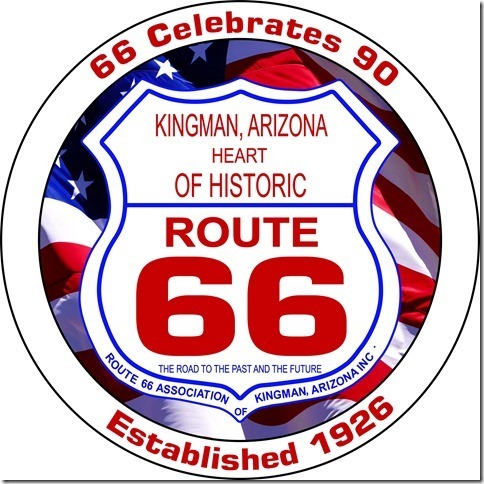 As promotion of the Route 66 Association of Kingman and their Celebrate 90 initiative is a key component of our trip, getting the website for that group up and functional is of the utmost importance. So, I have been lending assistance to the website designer, mostly in the form of providing content. The association has created a special Celebrate 90 souvenir that I will be distributing at the festivities in Edwardsville. So, if your attending this fun filled and historic event, stop by the Open Road Productions/Jim Hinckley’s America display at the exhibition in the historic Wildey Theater in Edwardsville on October 31, or catch me on the road. These collectible souvenirs are only part of our cargo. 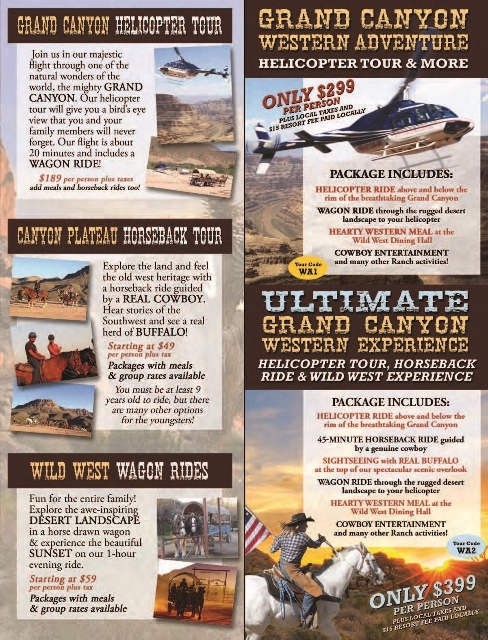 If your plans are to motor west any time soon, I will also have a wide array of promotional materials from the Kingman area including coupons for $59.00 per night rooms at Grand Canyon Caverns Inn, and, of course, lots and lots of books. If you already have copies of my books and would like them defaced, bring them by the exhibition hall in Edwardsville. The signature may be worth more in your book than it is on checks. The website is but one of many items requiring immediate attention. There is a new book contract to finalize, we need to stock the pantry for the caretaker of the homestead in our absence, and there are a few promotional projects for Ramada Kingman to finalize. This campaign will provide senior travelers with a bargain package for exploring the Kingman area. 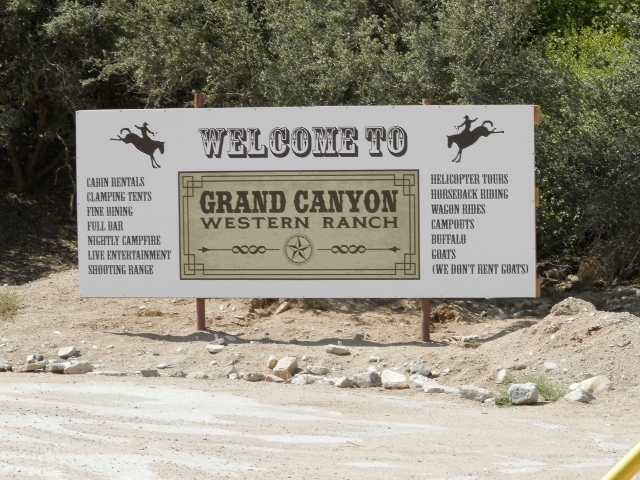 Before I forget, Ramada Kingman and the Hill Top Motel both have information for the various packages available at Grand Canyon Western Ranch located sixty-miles north of Kingman. Simply use promo code “Hinckley” to receive a discount on packages, and when you get to the ranch, say hello to Robert Bravo on my behalf. On Friday there is a planning session meeting that will tackle the next steps in moving the Route 66: The Road Ahead Initiative forward to the creation of a representative organization that will serve the entire international Route 66 community. I will provide update before we leave. There is also a report that needs to be finalized. This is all part of a rather exciting project that will, I hope, speed up the transition of the Kingman historic district. There will be more details on this soon. I also need to winterize the “swamp” cooler as well as Barney the Wonder Truck. It may be a delightful seventy degrees now but things change quickly in the high desert this time of year. So, in consideration of all that there is to do before we hit the road, again, I bid you adios. I will have another posting for you after the meeting on Friday. I will also post from the road where possible. Check out the Facebook page for Jim Hinckley (author) and Route 66 Chronicles for more immediate updates from the road, including new food discoveries.